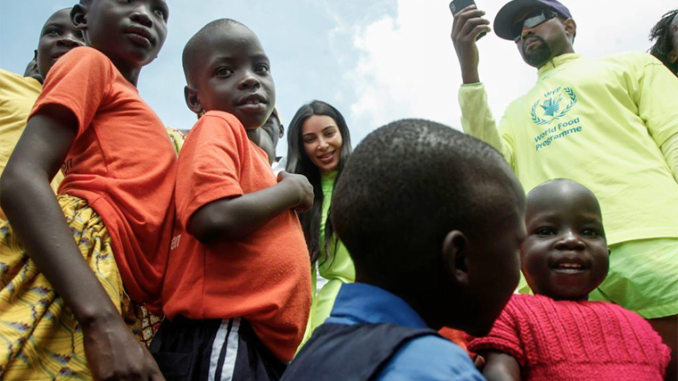 Kanye West (R) with wife Kim Kardashian at UWESO Children's Village in Masulita in Wakiso district. Internationally acclaimed American rapper, Ye formerly Kanye West has committed to engage in more charity activities in Uganda as well as work with local artists to boost the music industry. Ye who is on private visit to Uganda made the pronouncement during his short visit to UWESO Children’s Village in Masulita in Wakiso district on Tuesday 16th, October 2016. Ye who was accompanied by his wife and reality TV star, Kim Kardashian and daughter, North West were airlifted by a UPDF chopper from Chobe Safari Lodge in Murchison Falls National Park in north western Uganda to the children’s village. Tourism minister, Godfrey Kiwanda and Relief, Disaster Preparedness and Refugees minister, Hillary Obaloker Onek received the family. The celebrity couple donated snickers and T-shirts to more than 100 children at the orphanage before they went on a guided tour of the facility. He visited a number of facilities including dormitories, kitchens among others. After touring the area and chatting with the children, Ye said he felt like donating more to the community but didn’t have enough resources at the moment. 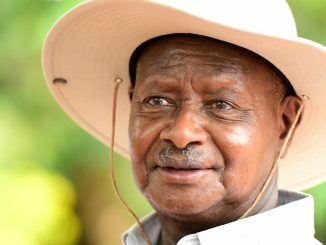 Ye, who preferred being called ‘Kanyesigye’, his new name given to him by President Yoweri Museveni promised to mobilise whatever resources he can as soon as he returns home. “We’re going to get supplies, resources, architects, doctors, teachers, guides, musicians am gonna go get some resources and come right back,” Ye said. The rapper who took some time to mingle with the children who were singing Karamojong songs while chanting his name, said he has loved everything about Uganda, which he says is one of the beautiful places to be. During the tour, Ye was streaming live on Twitter. Minister Onek said that Ye may visit a number of refugee camps in Yumbe district. Kanye West, who is also shooting a video for his new album, said he will also work with local music artists to promote Uganda’s industry. 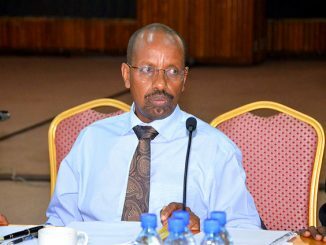 “Yes definitely, we’ll work with the [Ugandan] artists, definitely,” he said when asked about the possibility of working with local artists. A day after Kanye West arrived in the country local music artist Moses Ssali alias Bebe Cool took to his social media platform requesting to have a collabo with him. UWESO Children’s Village was established in 1986 with the help of the First Lady, Janet Museveni to care for orphans under Uganda Women’s Efforts to Save Orphans (UWESO). The home collects children from Kampala streets and rehabilitates them before resettling them in their home districts. 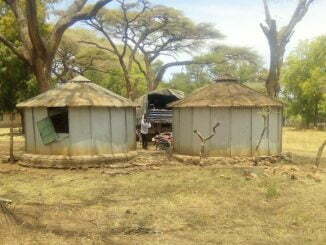 Officials at the orphanage say 85 per cent of the children at the home are from northern Uganda.